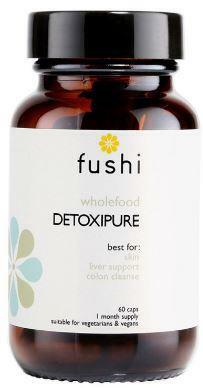 This Organic Spirulina superfood supplement from Fushi has been freshly ground for optimum quality. Spirulina is an algae that grows in natural alkaline lakes, in a tropical and sub-tropical environment. Spirulina is high in an array of micronutrients and contains the most remarkable concentration of nutrients. It has a rich concentration of beta carotene, vitamin B12, potassium, calcium, magnesium, zinc, selenium, phosphorous, iron and the rare essential fatty acid GLA. These nutrients make spirulina a great whole food alternative compared to isolated vitamin and minerals. 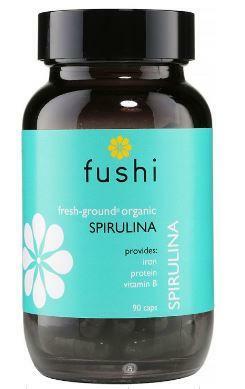 Spirulina is an incredibly high protein food- over 60 percent all digestible vegetable protein. 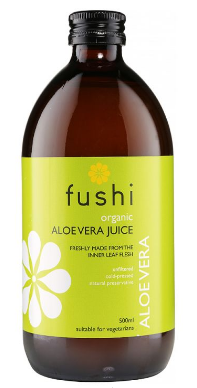 This is a perfect source of vegan protein, as it contains every essential amino acid and is a complete protein source. This aspect also makes Spirulina beneficial for the contribution of muscle mass. 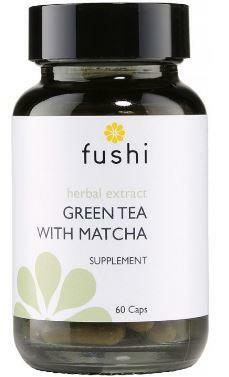 How to use Fushi's Organic Spirulina supplement; Take 1-3 capsules daily with food. Cautions: Food supplements should not be used as a substitute for a varied diet. Storage: Out of sunlight and heat in a cool dark place and out of reach of children. Ingredients; Spirulina (Arthrospira platensis). 530mg of spirulina per capsule. *EU recommended daily allowance. Per 500mg serving.